Cam window doesn't remember placement. CAM is once again giving me BSOD, If not for he kraken I would not use it. How many hours do I waste on your crappy product before I go out and purchase another cpu cooler so I can end this nightmare from hell? Logo and Ring remain turned off after PC comes out of sleep. This was never an issue before updating to last night to v3.6.1. Also, like others have posted on here, I too lost my prior settings as everything got totally RESET...and now the LED wont even turn back on after I resume my PC from sleep. Terrible guys, just terrible!!! Does anyone do any testing before releasing these things? 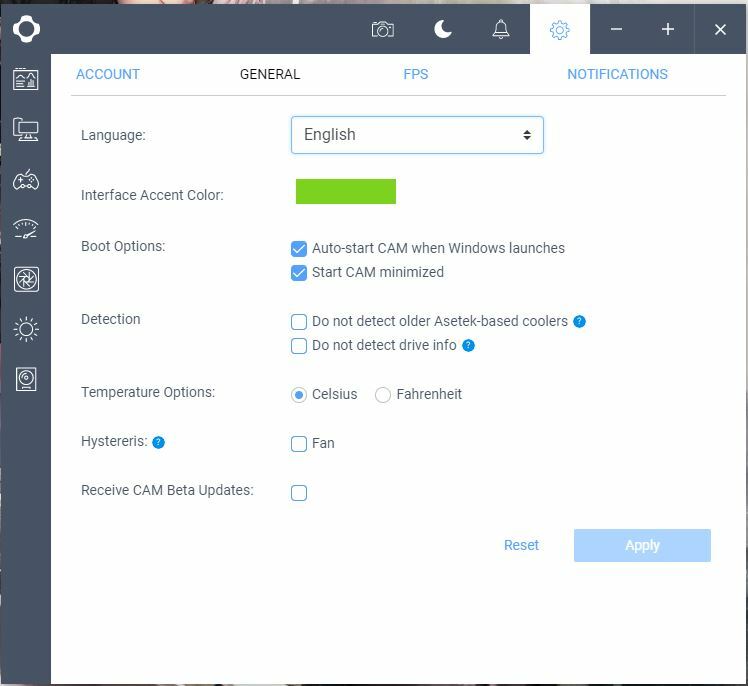 As title says,Cam 3.6 and 3.6.1 wont save any settings. I tried clear install, admin rights, some combatibily setting but nope. Cam regrets to save any setting. It always starts up on default. Good afternoon, please update to 3.6.5 and if your issue continues to occur, provide us with your program logs so we can verify why your settings are not being saved correctly. Certain light features cannot be chosen? So i was browsing through the light features for my pc, when i saw some ones that were greyed out such as Tai Chi,Water Cooler, Blinking, and Loading. But i cannot choose them. WHy is that? I can't find any way to save my custom GPU fan curve in CAM 3.6.1. Really annoying :/. in the cam software the Db (mic) show 0 on the testing tap :( what do i do?? Hello sir, could you please explain with more detail the issue you are experiencing? Perhaps include a screenshot if possible? Thanks. Please go to “Settings” >> “General” >> and click on “Do not detect drive info”. This will stop checking your HD and remove the noises. Cam is not finding my Kraken x42 after I upgraded my PC. Yes i have reinstalled Cam multiple times. The detect button does not seem to be working either. I have a rotating white ring on my cooler. No i don't have aura installed. Fairly certain my USB 2.0 port is fine as i just installed the brand new MOBO last night. I don't have any options for lighting or cooling in CAM. Audio mode not supported on NZXT Hue+ light strip after I updated the CAM software to 3.6.0. 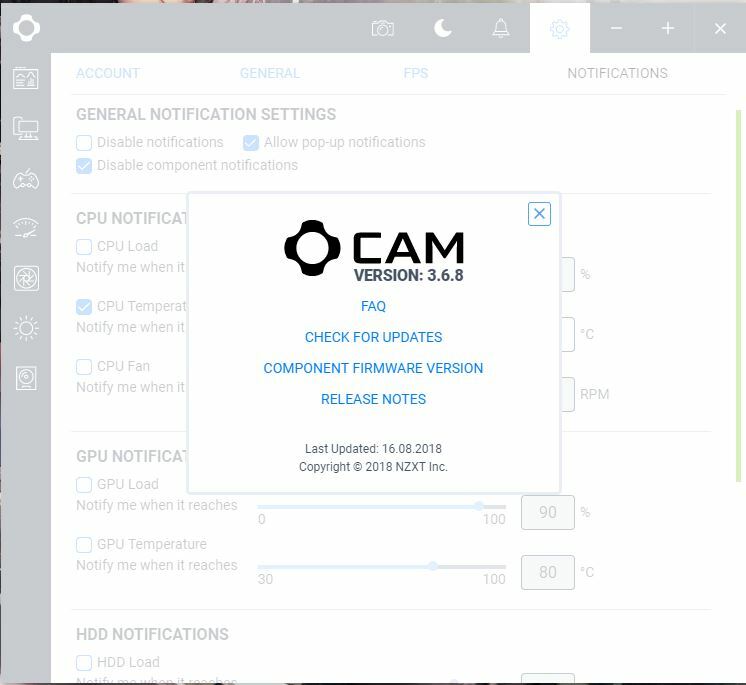 See this already posted but it's for an old version of CAM (3.5.20 is what's posted) this issue is something I'm dealing with now with 3.5.90. 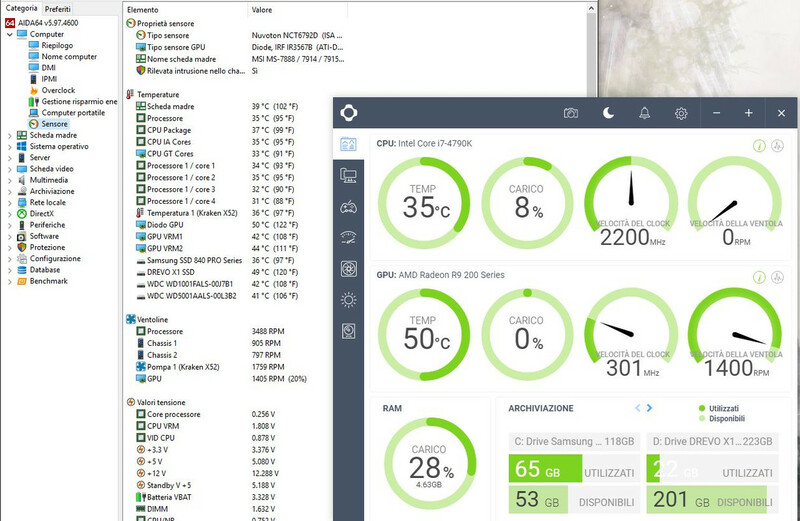 Notifies CPU is well over 100C when CAM itself says CPU is sitting at 30C. Just updated to 3.6 and found that when crating a fan curve for gpu I cannot have the fan off under any certain temp. The lowest it goes is 40%. Which is unacceptable!!!! First of all, this is NOT fixed even after many claims that this was fixed on other issue threads. I know this because I just updated CAM and all of my lighting profiles are gone! it happened last time as well, and last time support told me the same thing, " This should be fixed in update (insert most recent update at the time)". I spend a lot of time on my lighting profiles and I would rather not lose them every time you want to change how your program works. Its currently on version 3.6.0, If I update this program, and my lighting profiles are deleted I will rip my HUE+ and Kraken X62 from my system and replace them the competitors products, because they work. just updated to 3.6 all lights went off on my fans! As I updated to 3.6 lighting in fans just went off! When pc starts lights on fans are on! Once Cam loads they go off!!! WTF?? ?